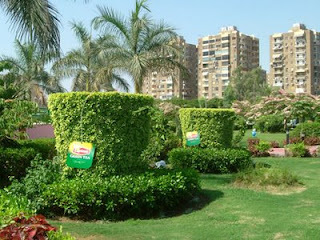 Topiary tea cups in Cairo, with the addition of Lipton tea bag tags. This is brilliant. One of those, why didn’t I think of that ideas… Well, I’ve yet to be on a tea campaign, but still, I’m not sure I would have come up with this. But you know who did: JWT Cairo, whom featured at the recent Dubai Lynx awards show. « Police: N.J. Turnpike Killing	» Creative Genius. Thsi entry was truly out-of-the-tea cup thinking, meaning good! I had attended the awards, being one of the active Middle East ad bloggers. It was fun.